Alcohol is massively associated with crime. Evidence from the British Medical Association found that alcohol use is associated with 60-70 per cent of murders, 70 per cent of stabbings, 50 per cent of fights or assaults in the home. For non-violent offences the association is very strong as well: 88 per cent of those arrested for criminal damage, 83 per cent for breach of the peace, 41 per cent for theft and 26 per cent for burglary, had drunk in the four hours prior to their arrest. At the same time there has been intense concern about public drunkenness in town and city centres, especially on the part of young people, and the cost and damage this causes. 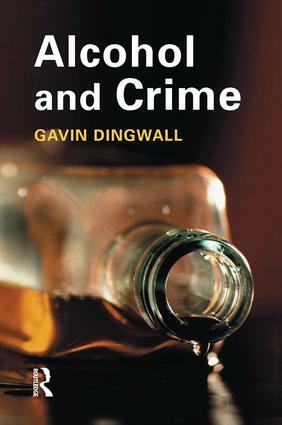 This book seeks to understand the nature of the connection between alcohol and crime, and the way the criminal justice system responds to the problem, providing a clear and accessible account and analysis of the subject. It draws upon a wide range of sources and research findings, and also sets the subject within a broader comparative context. It takes an interdisciplinary approach, and includes a sociological account of the role of alcohol in British society, a criminological analysis of the link between alcohol and crime and a philosophical consideration of individual responsibility for harm caused whilst intoxicated, and a legal analysis of different approaches that can be adopted as a response to alcohol-related offending.